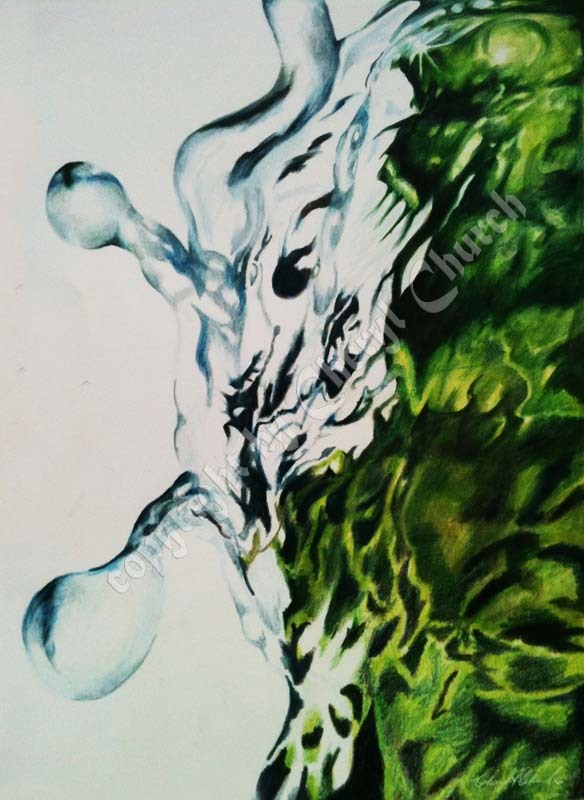 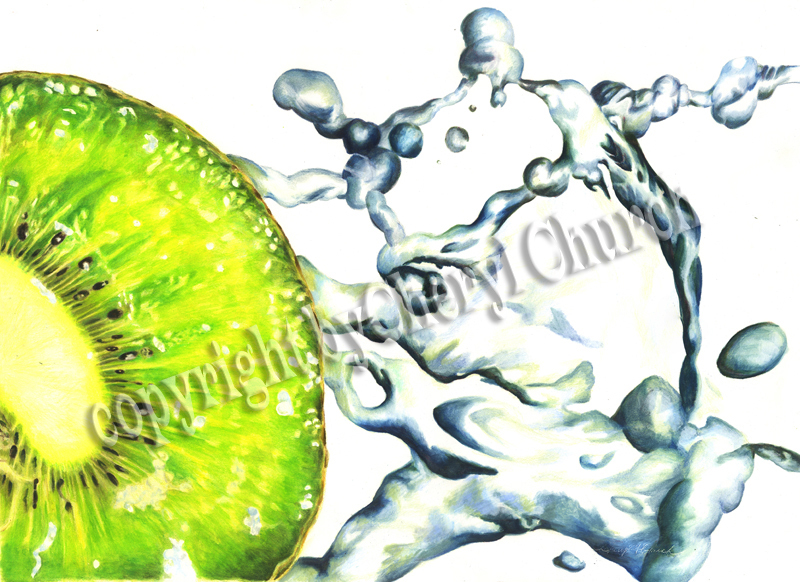 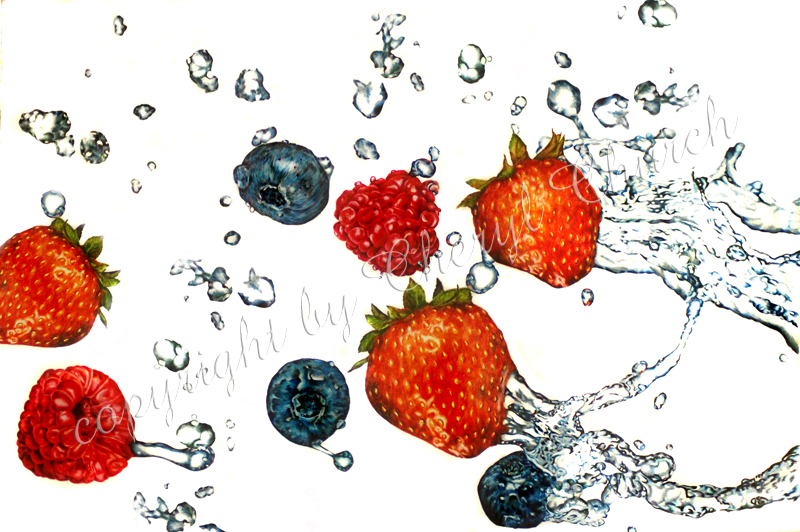 Original sold"Ke-We Splash" -- Kiwi fruit flying through water. 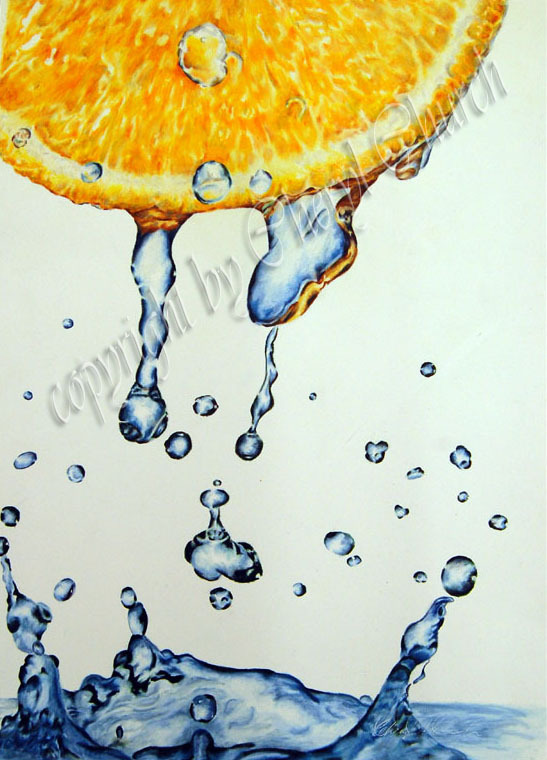 22" x 30"
Original sold "Tropical Sensation" is 15" x 20" Limited Edition prints available starting at $35 S&H not included. 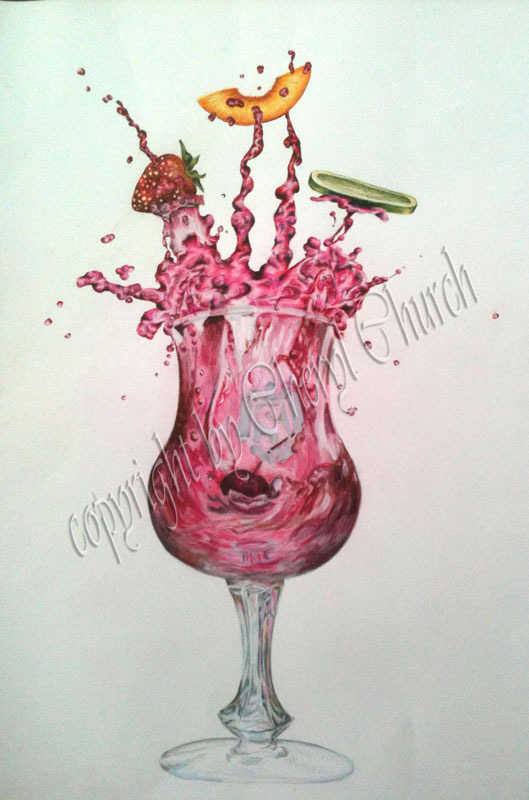 Limited Edition Prints starting at $35 s&h not included. 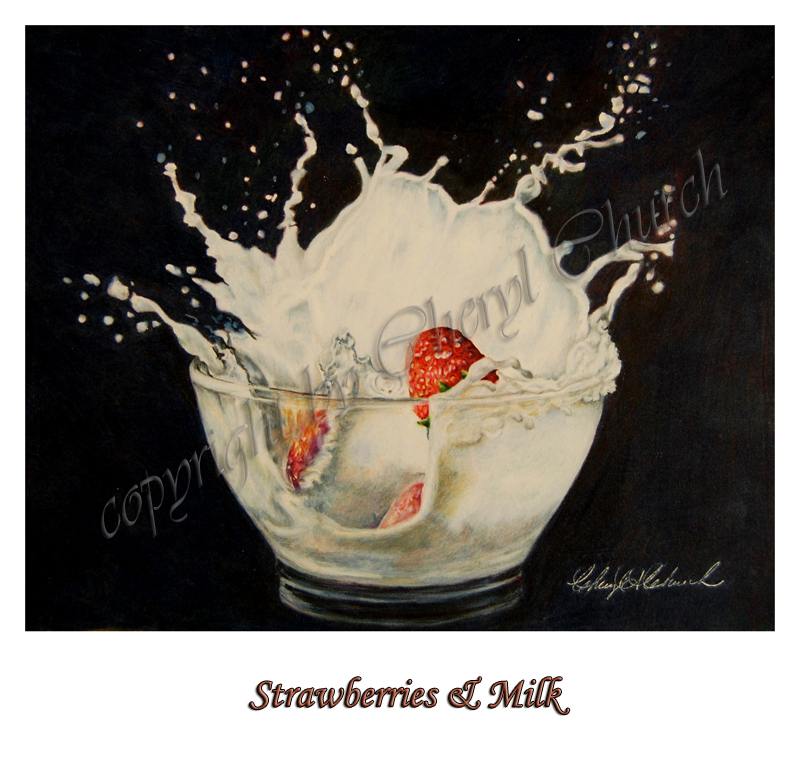 Limited edition prints are available starting at $35.00 s&h not included. 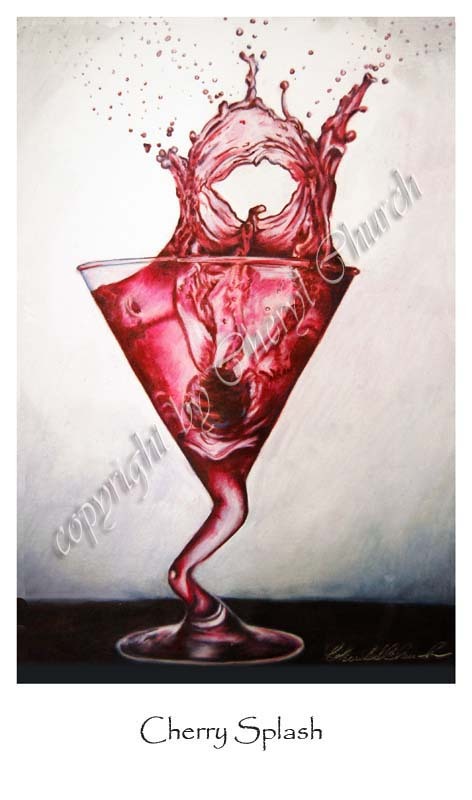 "Martini Bound" -- Original sold Martini Bound is 15" x 20" Limited Edition prints available starting at $35 S&H not included. 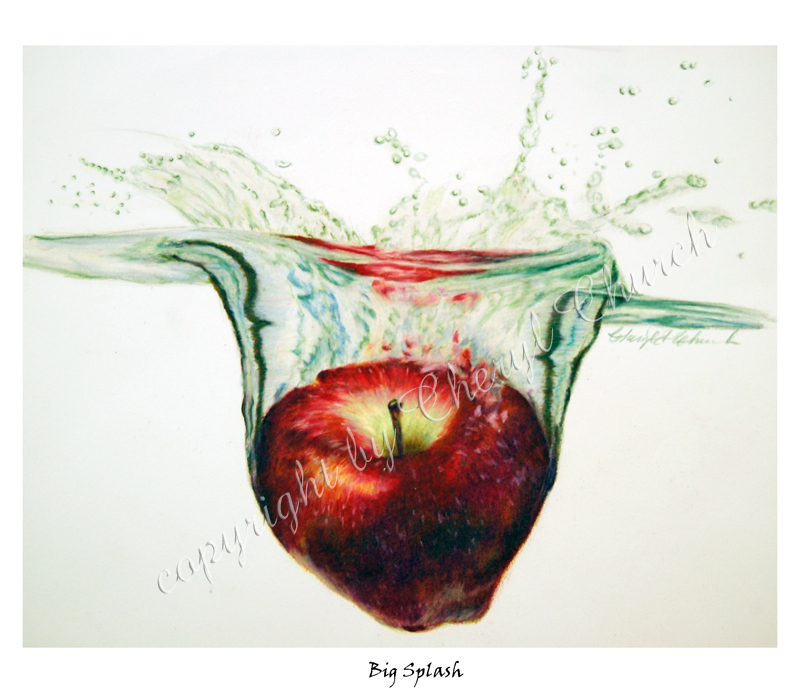 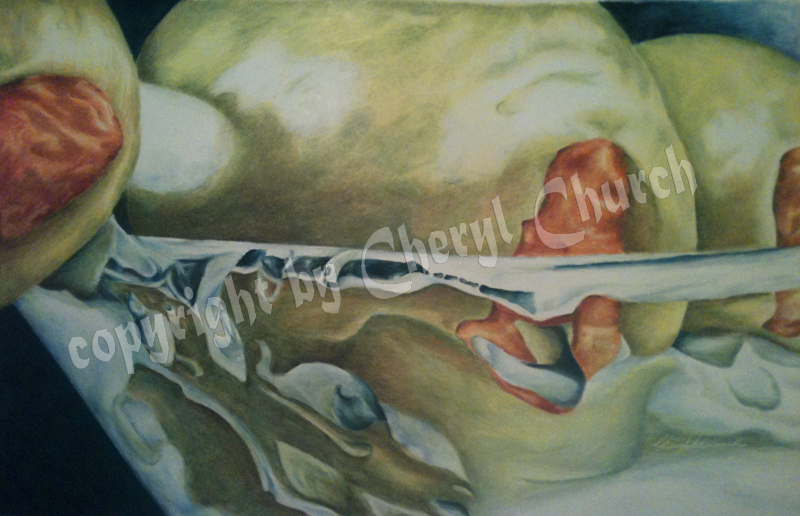 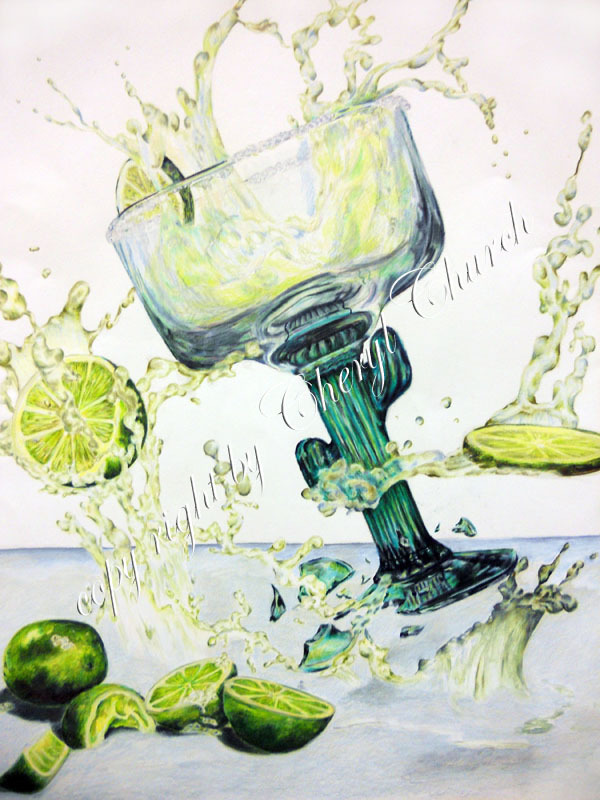 Original sold - "Overflow" -- 15" x 20" color pencil painting on Stonehenge. 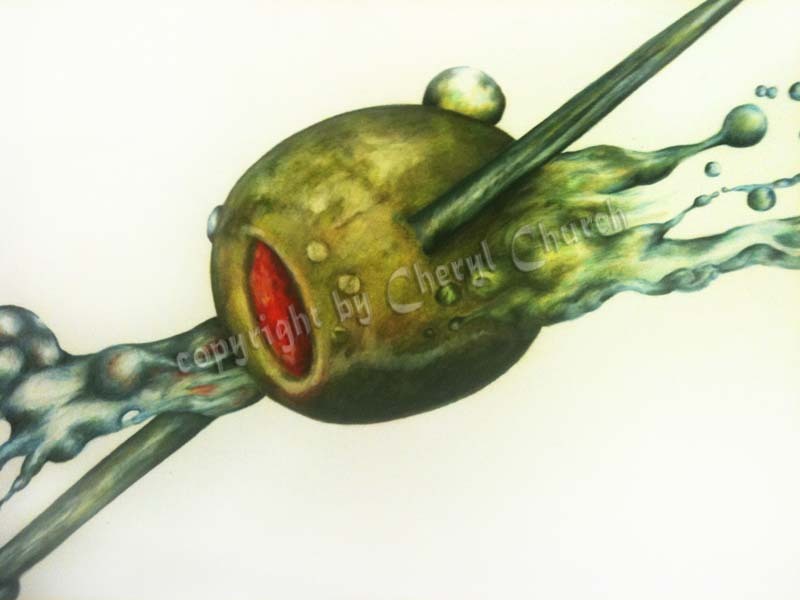 Signed Limited Edition prints available starting at $35.00 S&H not included.